‘MOvember’ has just finished and boy but were there were moustache’s all over the place. ‘Movember‘ is an annual, month-long celebration of the moustache, highlighting menâ€™s health issues. 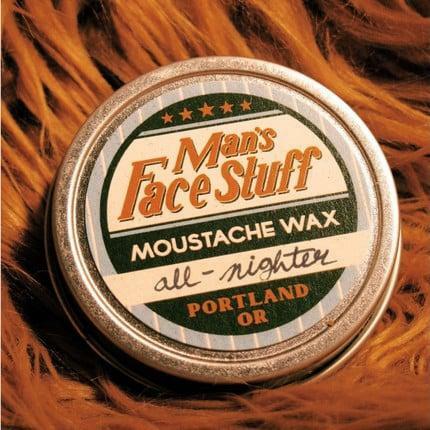 If only I have found this ‘Moustache Wax’ (from MansFaceStuff on etsy) earlier. I know a handful of guys who would have had a great deal of fun moulding their moustache’s especially becuase that there is a competition for the most creative ‘MOvember’ moustache. This entry was posted in Blog and tagged Etsy, Mans Face Stuff, Movember.